South African batsman JP Duminy has been ruled out of South Africa's limited overs tour of Australia, starting later this month, because of a shoulder injury. He is the second experienced batsman to miss the tour because of injury. Hashim Amla is out because of a finger injury. 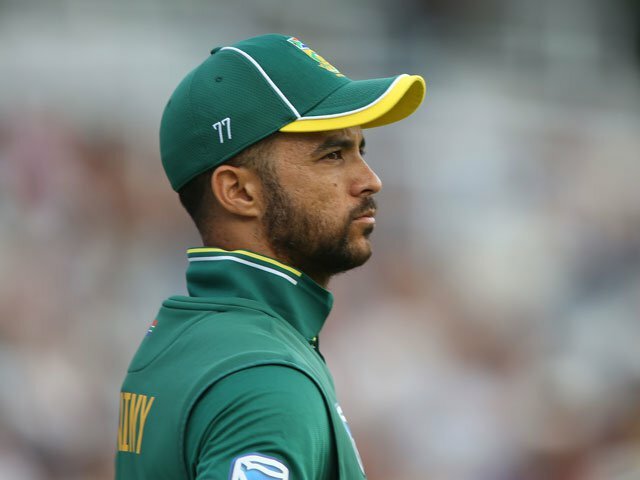 Cricket South Africa announced in a statement on Tuesday that Duminy will undergo surgery on his right shoulder after aggravating an old injury during a series against Zimbabwe which ended last weekend. Duminy will also miss the Mzansi Super League, which starts on November 15. He had been named as a marquee player for the Cape Town Blitz team. Team manager and doctor Mohammed Moosajee said it was not possible at this stage to estimate how long Duminy would be out of action. "That is dependent on the results from the surgery," he said. South Africa will play three limited overs internationals and one Twenty20 international in Australia.